The IOC President Thomas Bach said highlighted the successful organization and coordinated of the Olympic Games in Sochi amongst all participants. President Bach’s comments follow the Sochi 2014 teams successfully completion of the first "white" Olympics in the history of Russia. Organizers sold more than a million tickets, and the Games were visited by fans from 126 countries. 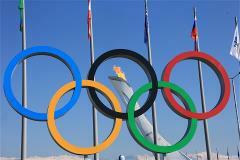 More than 2,800 athletes from 88 countries arrived in Sochi, competing for a record 98 sets of medals. 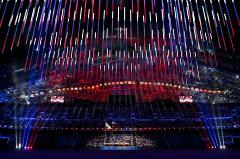 The Games in Sochi were broadcast by 464 channels worldwide. 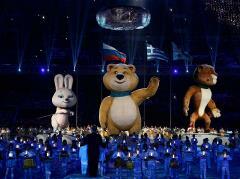 The Games in Sochi has also proved successful across many social media networks. The number of posts using the hashtag #Sochi2014 totaled twice the population of the Earth and the total volume of the Olympic Internet traffic amounted to more than 1 petabyte. The Games in Sochi have set a new record for the number of countries whose representatives have won gold medals - athletes from 21 countries have taken away the highest Olympic honor. It is hoped that the Games have left a rich tangible and intangible legacy. The most compact sports cluster in Olympic history was built in Sochi. The coastal sports venues are within walking distance from each other, and it takes less than an hour to reach the mountains using the new railway. Thanks to the Olympics, Sochi and the south of Russia now have 4 modern ski resorts, a huge modern hotel complex with tens of thousands of hotel rooms, more than 360 km of roads and 200 km of railway track, 690 km of engineering networks, modern hotels and a re-developed coastline. 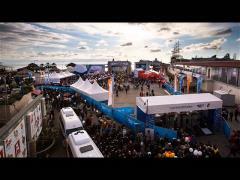 The power of the energy system of Sochi has increased almost 3 times - up to 1 MW. Particular attention was paid to environmental issues, the minimization of the impact on the environment and rational use of natural resources. A positive ecological balance has been successfully secured in the region thanks to the modernization of utility, transport and energy infrastructure. Thanks to the Games, for the first time Russian athletes will have training centers for every winter sport. The venues built in Sochi form an international tourist and sports center for training and health care facilities through to hotel accommodation. From a summer resort the city was transformed into a world-class all-year-round tourist destination. 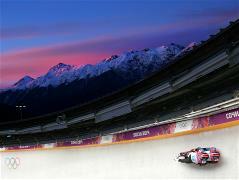 Sochi has already won the right to host a number of major sporting events, for example, the 2018 World Cup in soccer and the 2017 World Cup in bobsleigh and skeleton. 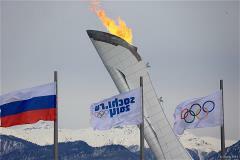 "Sochi has now hosted the first ever Olympic Winter Games in Russian history. We are proud to say that Russia has completely fulfilled everything that we promised when we bid to host the Games. We say an enormous thank you to everyone who, together with us, gave this sporting celebration to the world. I want to thank all the athletes and say a special thank you to the vibrant and cheerful Sochi 2014 volunteers and team, without whose help, the successful organization of the Games would not have been possible. The Games in Sochi is a great moment in our history, a moment that we will stay in our hearts for generations."